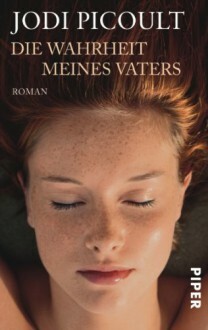 http://Alexandra.booklikes.com Der Bücherwahnsinn 4.0 Die Wahrheit meines Vaters Wenn plötzlich dein ganze Leben in Frage gestellt wird! text Die Wahrheit meines Vaters Wenn plötzlich dein ganze Leben in Frage gestellt wird! I LOVED this book!!! It had a strong storyline, the characters were interesting, and the small twists and turns of the story made it a great read. I didn't want to put it down. All in all, Vanishing Acts was an absolutely heartfelt story not only about the kidnapping as its main focus, but also many other present everyday issues everyone could or might be facing already.Read full review on my blog, Beyond Strange New Words.